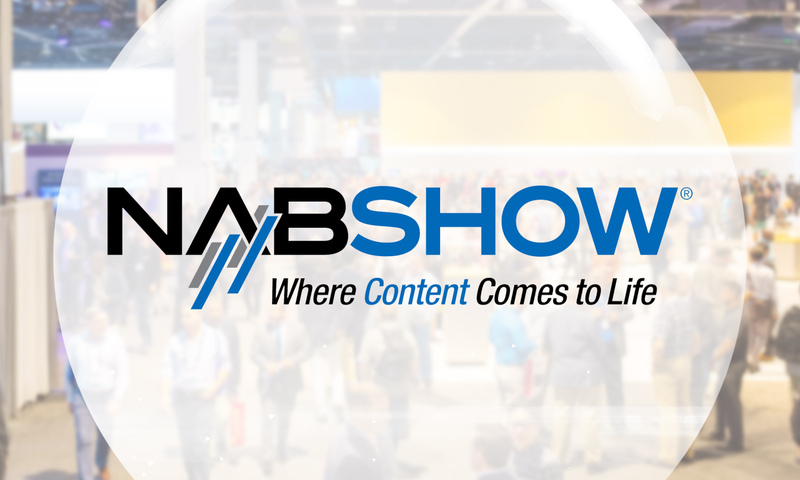 At the center of media, entertainment and the technology industry, the NAB Show brings groundbreaking innovation and powerful solutions to the forefront of professionals looking to create, manage, deliver and monetize content on any platform. The 2018 NAB Show, which is scheduled for April 7-12, 2018 at the Las Vegas Convention Center, brings together 102,000 attendees from over 160 countries to see 200 plus sessions and 1,700 exhibitors, creating one of the largest such gatherings in the world. At the heart of the NAB Show are the trends shaping and impacting the broadcast and media landscape, such as IP Production, Advanced Advertising, Artificial Intelligence & Machine Learning, Augmented Reality, Virtual Reality, HDR, Branded Content, 4K/8K and so much more. IP is here and now, and can bring much greater flexibility and efficiency to your operation. At this year’s IP Showcase, over 60 manufacturers and eight of our industry’s premier standards bodies and trade alliances have come together to demonstrate the benefits and practicality of moving to IP workflows, all leveraging the new SMPTE ST 2110 standard and AMWA NMOS specifications. Monetizing content is a central concern across traditional TV and emerging digital platforms. This program provides an opportunity for content and distribution professionals to hear from and engage directly with the ad buying community. This is the place for agencies, brands, programmers and leading technology providers. Sessions at the 2018 NAB Show allow unique opportunities for interaction and learning from industry leading professionals on topics ranging from the Business of Broadcast and Sports to Digital Futures to Broadcast Engineering and Information Technology. Attendees will discover new strategies for advanced distribution, delivery and broadcasting. Just about all aspects of the OTT industry are being massively restructured. Rapid changes in technology, user-behavior and business models have created a gap between how consumers want to experience and pay for entertainment and media and how companies produce and distribute their offerings. How can we reach our audience and keep them coming back for more? This is a question facing many broadcasters and content providers in an increasingly competitive online video market. The answer lies in building an understanding of who the audience is, how they behave and what they value… and translating that information into VOD products. In this presentation, Martijn will share his experience and talk about how you can maximize the value of content across a variety of platform. So many bits and bytes, screens everywhere. The average consumer feels overwhelmed with the constant barrage of media. Similarly, national and local networks are extremely pressured to provide up-to-the-second coverage. Podcasters and vloggers provide serious competition. How does today’s newsroom update its tools and practices to remain relevant? How do AI, AR, better workflow and other tools help or hinder efficient practices given the contradictions inherent in speed v. accuracy, volume v. depth? What to do about authentication, data overload, pushback on privacy, content piracy? Our Destination Next panel will share success stories showing how leagues & teams are segmenting audiences, developing unique products for each segment, and then wrapping those user experiences with appropriate monetization strategies. The convergence of media, entertainment and technology has impacted more than just efficiencies in workflow, revenue streams and business models – it’s fueling the innovation that’s changing how we work, live and play. From creation to consumption, the 2018 NAB Show has the newest tech, tools and professional connections to help you succeed in the digital ecosystem. Register today at this link, exclusive for NewscastStudio readers, or learn more about the NAB Show here.